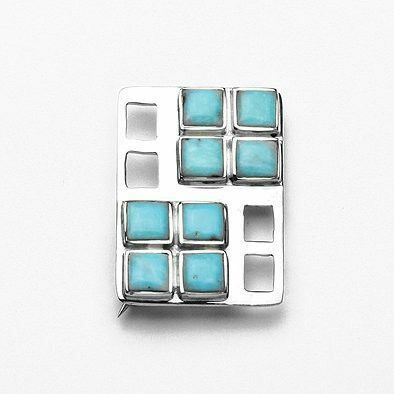 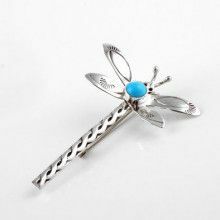 This beautiful turquoise pin features 8 turquoise stone set in a unique design of .925 sterling silver. 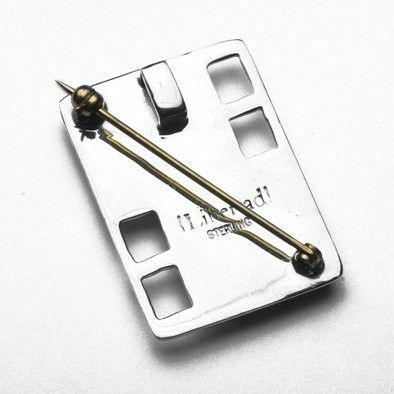 The pin measures 1 1/4" in length by 1" in width. 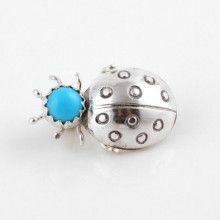 The pin makes a perfect accompaniment to any number of outfits.